Scottish bagpipes sing out from an iPod. Bodies dance fluidly and skillfully. 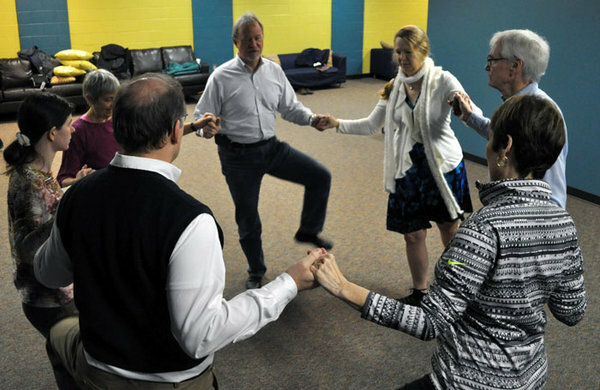 Hands link as dancers spin in circles. Skirts twirl and feet tap along the floor – sometimes masterly, sometimes clumsily. There are no kilts, but it’s clear Scotland has found its way to Columbia. Kendall and Colleen Walker, for instance, have been dancing since 1992 – longer than McCullough. They come back most Tuesdays to stay connected to their Scottish heritage. “A Wee Nothin'” concludes with dancers kicking their legs in and out in a circle. 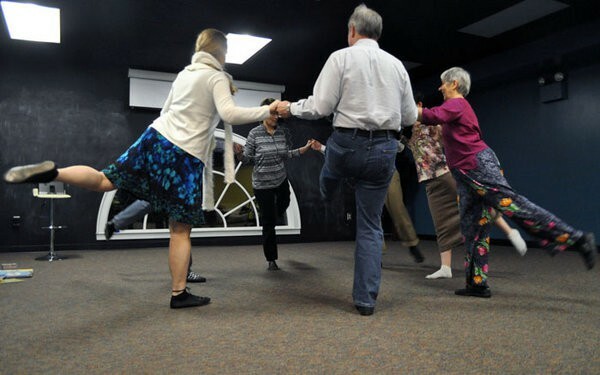 Colleen said they were surprised how much they learned through dancing the same steps their ancestors did centuries ago. The class provides a “window through time” to experience a “living and breathing” Scotland, she said. 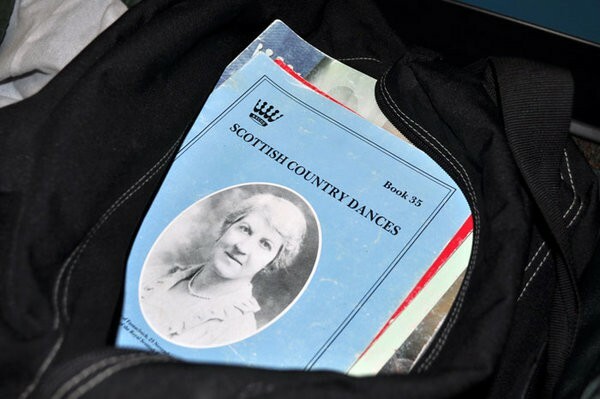 Scottish country dancing combines the steps and figures of Highland dances and the circle, square and line formations of British and Irish dances. The rhythms range from fast-paced reels to strathspeys, which in four-four time can envoke a slow elegance. The modern melody of “Auld Lang Syne,” though different from the original, is sometimes cited as an example of a strathspey. A YouTube video that demonstrates some Scottish country dances. An example of the old and new “Auld Lang Syne” melodies from fiddle player and instructor Ed Pearlman. Music source of the music used in the slideshow. McCullough, 67, said he began dancing in 1998 to stay active while working at the Social Security Administration. He tried teaching scuba diving and refereeing children’s soccer, but dancing held his interest and kept him on his feet. 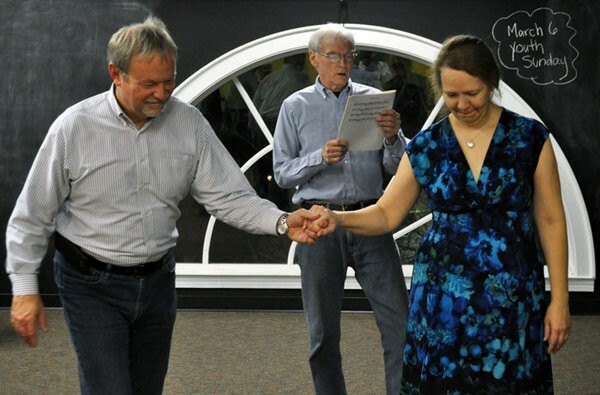 Over the years, the class has performed at events such as Tartan Day South, the Aiken Highland Games and the annual Robert Burns Society of the Midlands dinner. McCullough says he won’t hang up his shoes until someone comes along who can teach the class in his place.